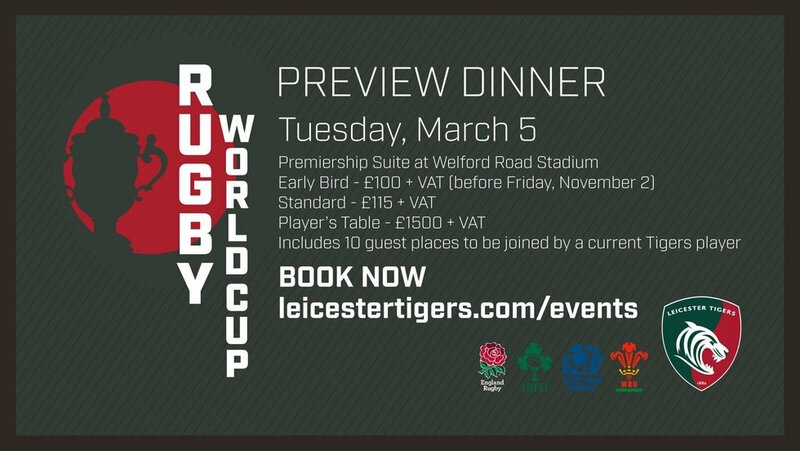 International rugby returns this weekend and Tigers fans can join in with a special 2019 Rugby World Cup Preview Dinner right here at Welford Road. On Tuesday March 5, 2019, the club will be taking an in-depth look into what to expect from Japan with the help of World Cup legends. 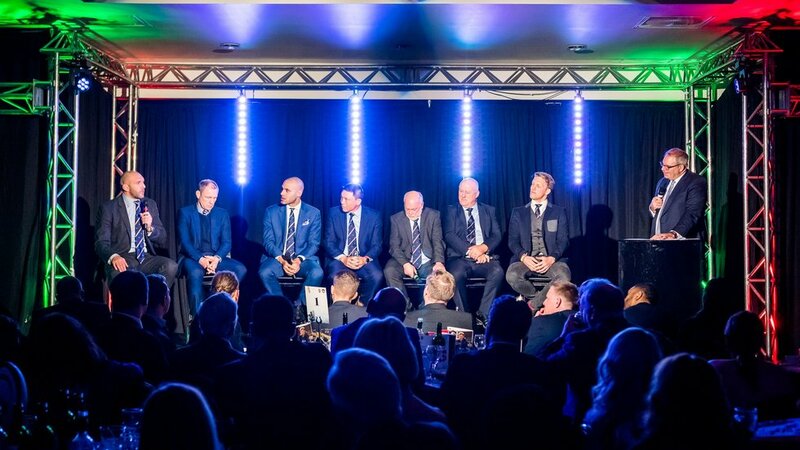 Last year, the club held a flagship 125 Year Dinner celebration welcoming back some of Tigers most recognised names. Ahead of next year's tournament - which kicks off on September 20 – rugby fans are invited to the home of Leicester Tigers as legends of the game and current Tigers star look forward to ninth Rugby World Cup. Alongside Q&A’s with some of rugby’s biggest names, you’ll also enjoy a three-course meal in Welford Road’s Premiership Suite in the Holland & Barrett Stand. Take advantage of our early bird offer which closes Friday, November 2 with prices at £100 + VAT per person. England face France, Argentina, USA and Tonga in Pool C with Ireland and Scotland drawn together along with Russia, Samoa and hosts Japan. Hong Kong, Canada, Kenya and Germany will compete in a round-robin format this November to determine the final place in Pool B. Keep an eye on the Tigers website and social media channels for news of the legends that will be joining us in March. Book your place online at the link below or call the Tigers corporate sales team on 0116 217 1215.